4) You may be wasting a lot of your precious time trying to fix something you cannot guarantee. Why not pass it to the professionals who know what they are doing? Save your time for more important stuffs, and leave it to those who are well equipped? 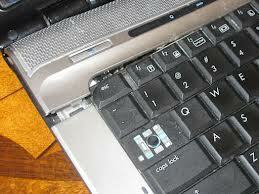 We can replace cracked casing, and diagnose if there’s further damage to its internals, especially the hard disk. We have restored Apple Macbook (even with Retina screen), Lenovo, Acer, Toshiba, Samsung, Compaq, Dell, HP, Fujitsu, etc… You do not need to buy a new laptop yet. Be it for your personnel or business computer, feel free to contact us at our hotline at +65 9790 0126 or fill up your details in the form on the right and we will get back to you within 24 hours. Different parts of laptop and notebook cases, especially the hinges, tend to crack very easily under small amounts of stress. 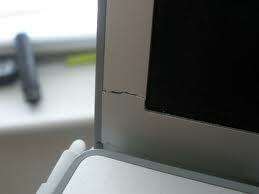 It is critical to be able to repair these cracks or change them, and prevent them from spreading. After repair, however, it is also important to be gentle with the case, and prevent case damage from occurring again.